When it comes to commerce, all concern relates to cash flows and this is the key thing which fuels the business to sustain and grow. E-commerce website designing is all about leveraging your business reach to wider audience. A better business runs on wheels which can handle and give the end user a better experience. Webspikel caters to all such requirements of e-commerce website design in Patna. An e-commerce site comprises of multiple categories and various product lines. The proper navigation is very vital for it to run smooth and provide the end user with the required product. 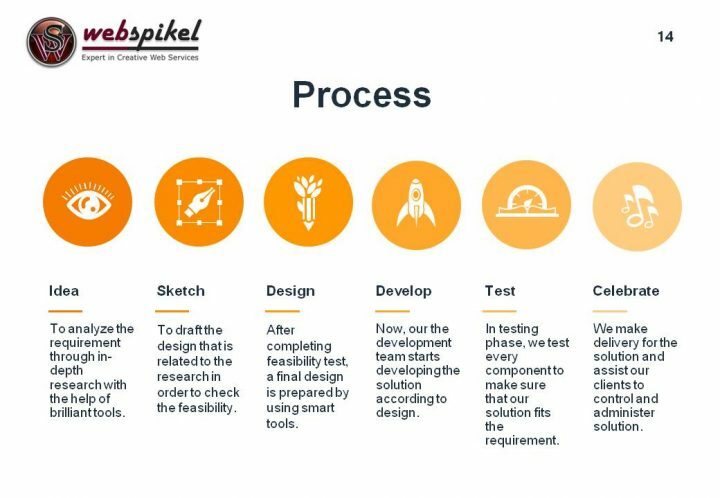 When it comes to navigation, e-commerce website designer in Patna named Webspikel clearly understands the business needs. There can be multiple faceted navigation requirements which only an expert e-commerce website designer in Bihar can understand and handle it while designing an e-commerce website design in Patna. Canonical elements play a vital role for e-commerce website design. This is the prime factor which determines how a page appears in Google SERP’s. You might not be ranking for a particular search for the page you desired for. This is a prime concern for major e-commerce websites. E-commerce website design expert at Webspikel takes all these aspects into account and help you in getting such issues addressed at the time of e-commerce website design. * Reasonable e-commerce website design packages. * Custom need assessment of the clients. * Easy Payment gateway integration. * Search friendly e-commerce website design.